Salina Police have named the hit and run driver who struck a motorcycle rider early Sunday morning and sped away from the scene. According to Sergeant Jim Feldman, officers arrested 24-year-old Alfredo Sanchez of Salina after locating the car he allegedly was driving when he hit 18-year-old Brady Burr from behind near the intersection of Crawford and Ohio around 12:20am Sunday. Officers found the 2010 Kia Forte in the 1000 block of E. Ash and arrested Sanchez on multiple charges that could include; following too close, leaving the scene of an accident and driving without a license. Police say Burr suffered a possible concussion, minor scrapes and a sprained ankle. He was not taken to the hospital by EMS, but later was transported by private vehicle. No information was available on damage to Burr’s 2007 Harley Davidson motorcycle. 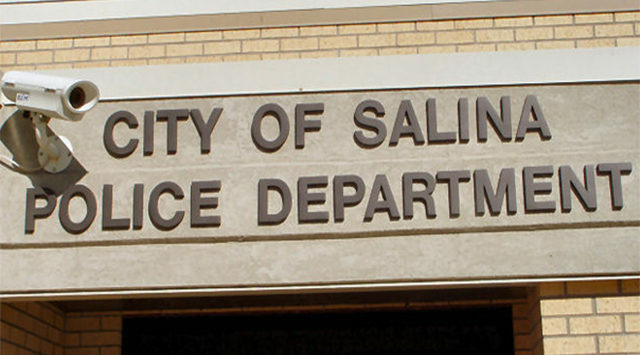 A car believed to have been involved in a hit and run crash in Salina early Sunday morning was found by police at around mid-day. Just before 12:30 in the morning a motorcycle was hit from behind by a car at the intersection of Crawford and Ohio Streets. The motorcycle was stopped at a red light. As the light was turning green the motorcycle was just starting to move when it was hit from behind. The rider of the motorcycle, identified as Brady Burr of Salina, was treated and released at Salina Regional Health Center. The car that hit the motorcycle left the scene. The suspect vehicle was located by early Sunday afternoon. ORIGINAL: Police are searching for a car, and a driver, that were involved in a hit and run crash in Salina early Sunday morning. Police tell KSAL News just before 12:30 in the morning a motorcycle was hit from behind by a car at the intersection of Crawford and Ohio Streets. The car that hit the motorcycle left the scene. Based on debris left behind at the scene, the suspect car is dark colored, possibly a charcoal grey metallic 2010 Kia Forte. It has front end damage, especially in the area where the fog lights would be. Anyone with any possible information on this vehicle is asked to contact Salina Police at 785-826-7210 or Crimestoppers at 785-825-TIPS, text SATIPS to CRIMES (274637), or visit www.pd.salina.org and follow the Crimestoppers link to submit a web tip.